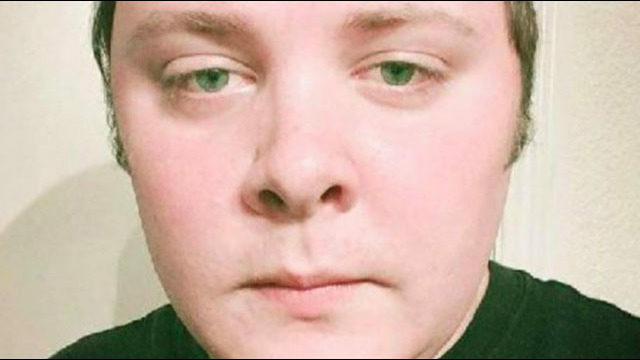 Kelley Texas Church shooter was weird, once court-martialed – Royal Times of Nigeria. Devin Patrick Kelley, the lone gunman who massacred 27 people inside First Baptist Church in Sutherland Springs, Texas was once a member of the U.S Air Force, who was sacked for dishonourable conduct. He was 26 years old and classmates and friends described him as weird and an atheist. US Air Force, spokeswoman Ann Stefanek said he served in logistics readiness at Holloman Air Force Base in New Mexico, starting in 2010. He was court-martialed in 2012 for two counts of Article 128 of the Uniform Code of Military Justice, assault on his spouse and assault on their child. Kelley received a bad conduct discharge, confinement for 12 months and a reduction in rank, she said. The Air Force did not provide a date of the discharge, CNN reported. According to Mail Online, his friends described him as ‘creepy’, ‘crazy’ and ‘weird’. He was also said to have used his now deleted Facebook page to preach atheism. ‘He was always talking about how people who believe in God we’re stupid and trying to preach his atheism’, said one of his mates, in the report by Daily Mail. On Sunday, crazy Kelley killed 26 people, including the 14-year-old daughter of the First Baptist church in the small town of Sutherland Springs, with a population of 400 people. The psychopath Kelley was dressed in black tactical gear and a ballistic vest when he entered the small church and started shooting. Kelley purchased the Ruger AR-556 rifle in April 2016 from an Academy Sports & Outdoors store in San Antonio, a law enforcement official told CNN. The official told CNN that when Kelley filled out the background check paperwork at the store, he checked the box to indicate he didn’t have disqualifying criminal history. He was said to have listed an address in Colorado Springs, Colorado. When he was leaving the church after shooting, he was challenged by a man who lives next door to the church. The challenger came to the church with his own gun. Kelley dropped his assault rifle in front of the church and fled in his car, law officials said. He was found dead in his car from a gunshot wound about eight miles from the church, a law enforcement official briefed on the investigation told CNN. It’s not clear if he shot himself or if the neighbor shot him. Texas Gov. Greg Abbott called the incident the largest mass shooting in the state’s history. But it came second to the massacre few weeks ago in Las Vegas when a sniper killed 58 people at an outdoor concert. The latest shooting, which has revived America’s gun control debate, occurred on the eighth anniversary of the Nov. 5, 2009, massacre of 13 people at the Fort Hood Army base in central Texas. A U.S. Army Medical Corps psychiatrist convicted of the killings is now awaiting execution. In September, a gunman killed a woman in the parking lot of a Tennessee church on Sunday morning and wounded six worshipers inside the building before shooting himself in a scuffle with an usher who rushed to stop the attack.